A recent article by Huon Hooke on Sue Bell reminded me that Sue had been on my list of people to interview for quite some time. 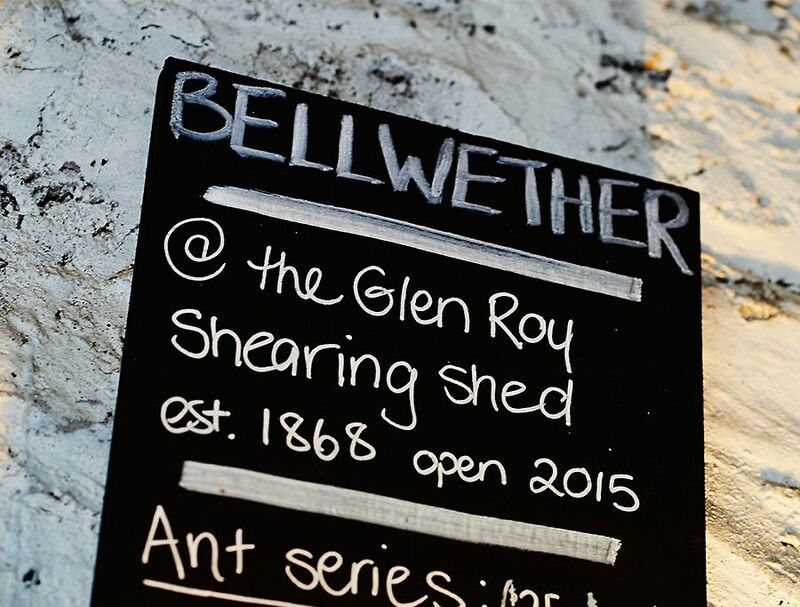 Glen Roy est 1868, Bellwether Wines opened 2015 : Photo © Milton Wordley. 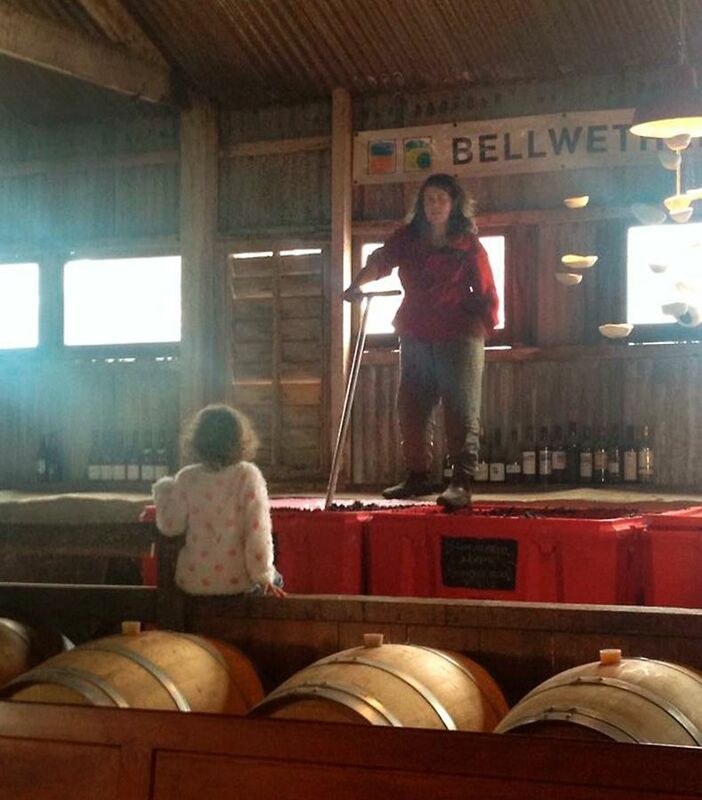 Huon’s ‘The Real Review’ piece was about how Sue’s winery Bellwether was crowdfunding to go off grid. Sue’s worked for many years for both Penfolds and Hardys. She was Dux of the Len Evans Tutorial in 2007 and has been running her own business for eight years. It’s been an interesting journey for Sue. The link to subsribe to the ‘The Real Review’ , it’s well worth it. 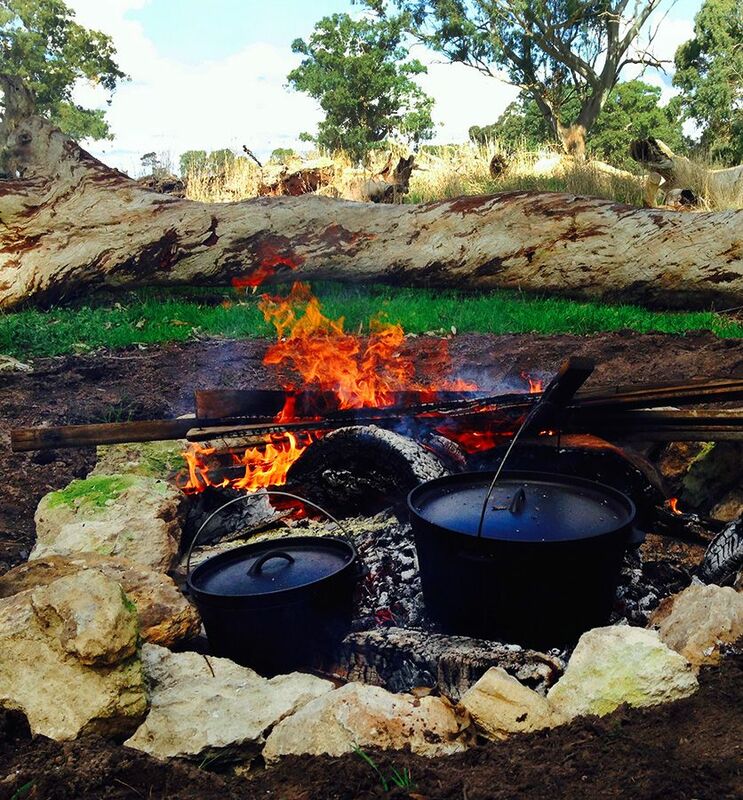 How is your off-grid Pozible campaign going ? We got there; we actually surpassed our target of $25,000 before the deadline. The last pledge was from a really nice guy, a retired CSIRO scientist from Melbourne, who has been buying our wine since we started. 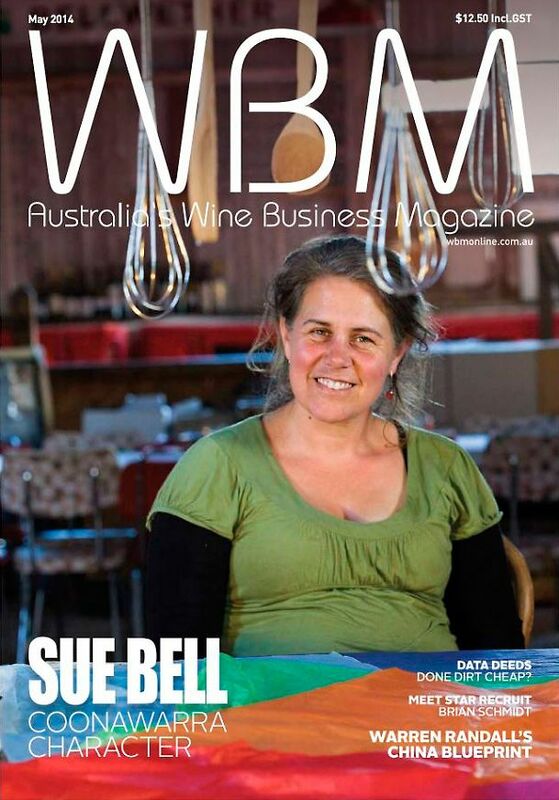 Sue on the cover of WBM : Photo © Benedetta Rusconi. He came and joined us for a week last year during vintage. My sparky reckons we need about $65,000 for a 10 Kilo Watt system with batteries. We could have paid forty grand to connect to the grid or we could just invest that into solar and crowd fund the rest. I wrote the campaign two years ago but was waiting for cells and batteries to improve. I also thought it was a good way to get people involved, and they have, rather than just give me money. We offered things that we can do in exchange, things like people coming to camp or glamp, coming and having dinner, vertical or guided tastings, my personal favorite was to come and work vintage! How’s that they pay me to come and work here. I think we often overlook the fact that people are really interested in how we go about making wine. 81 people contributed, from $15 up to $2000. We now have five inaugural members of our ‘Merino’ wine club. Your growers: who are they and where is your fruit from ? I like to have a close relationship with the growers. To me it is the site first, what’s planted there, the age of the vines, the clonal material and perhaps most importantly how well I get on with the grower, that we share a common philosophy of great wine. Bellwether Growers Board : Photo © Milton Wordley. Yesterday I visited one of my growers in Wrattonbully; we looked at the crop and agreed that half needed to come off. That’s their livelihood, they get paid by the tonne, but if they were not so accommodating it would not work. It’s beneficial when we work as a team and they know the impact of actions throughout the season on the quality of the fruit and resulting wine. They’re very proud of that. They are farmers, they know the seasons. They have taught me about this region and the seasons, they know their site better than anybody. I help some growers make a little bit of their own wine. My hope is that eventually they grow out of us and establish their own small wineries. I’m making wine right now for six of my growers, and one has already graduated to making their own wine under their own steam. The fruit down here is very good. Most of my fruit is from this area, but because of my background when I worked with Hardy’s and Penfolds I saw fruit from everywhere, especially whites from the cold climates. My first two wines were a 2006 Coonawarra Cabernet and a 2009 Tasmanian Chardonnay. I also rate Wrattonbully; I remember the buzz in the region when Rob Mason’s fruit made Grange. I already knew Wrattonbully Shiraz fruit was good, but that certainly helped vindicate it, along with some great trophy hauls at the Limestone Coast wine show. The news spread fast, it was great for the whole region. How would you describe your winemaking ? The big focus for me is excellent fruit. My winery is very basic so I put lots of effort into getting parcels of fruit from good sites grown by growers I trust. I’ve also learned a lot working where I have in the past with some of the classic old Australian brands like Hardy’s, Penfolds, Lindeman’s. The winemakers and cellar hands in all these sites have managed to preserve old company traditions. 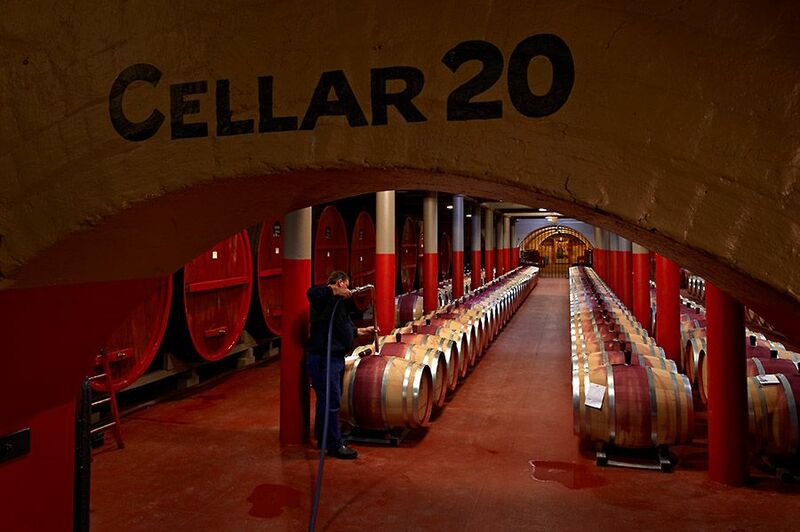 Penfolds Magill ‘Cellar 20′ : Photo © Milton Wordley. I remember thinking when I left the Hardy’s owned ultra modern and well-equipped Stonehaven winery in Padthaway, how am I going to make wine here in a shearing shed ? 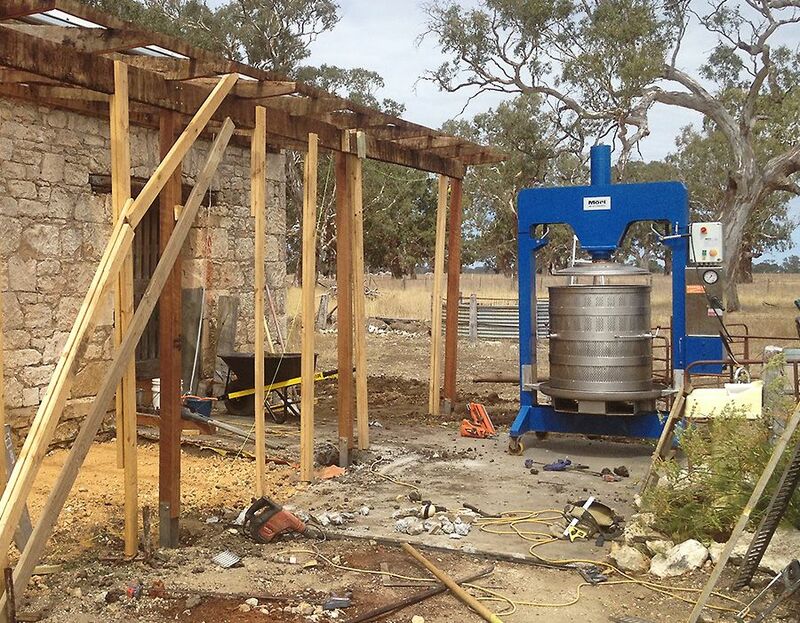 Vintage 2016, the Press waits for the new Pressing verandah to be finished, using recycled timber from the 1868 Glen Roy Shearing shed. However the upside is I now have the ability to work with small parcels of fruit, use 100% wild ferments and make what I want to. I release my top-level wines with a bit of age. Our current release Cabernet is the 2010 vintage, it’s a costly exercise but highlights how slowly these wines age. Pricing your wines is really tricky when you start out. I wanted my wine to be recognized as a serious wine though so I arrived at $50 and I think that’s terrific value for a seven-year-old wine made with meticulous detail from the vineyard through a small batch winery. My absolute favourite wine, when I can get it, is the ’96 Salon’, that champagne has never disappointed. It has that really searing acidity, and seems ridiculously youthful. 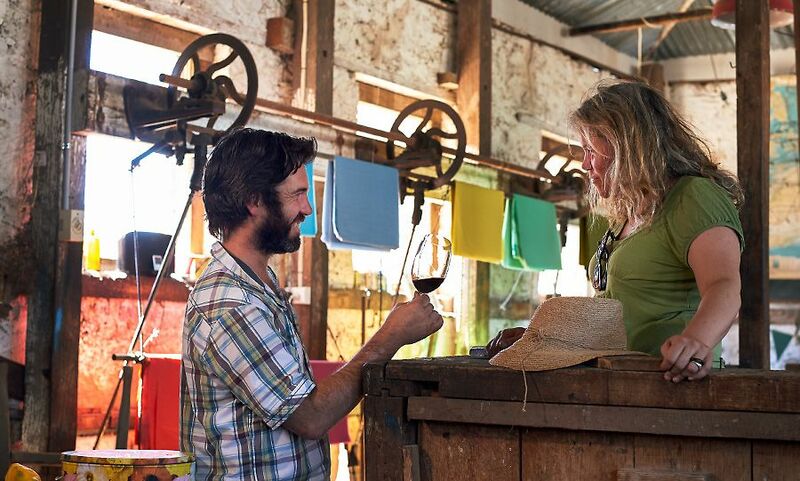 Steve Brown Bellwether’s ‘Winemaker/Woodchopper’ with Sue in the Winery / Shearing shed : Photo © Milton Wordley. So you know I prefer wines that age slowly, which is, why I love Coonawarra Cabernet and Tasmanian Chardonnay. 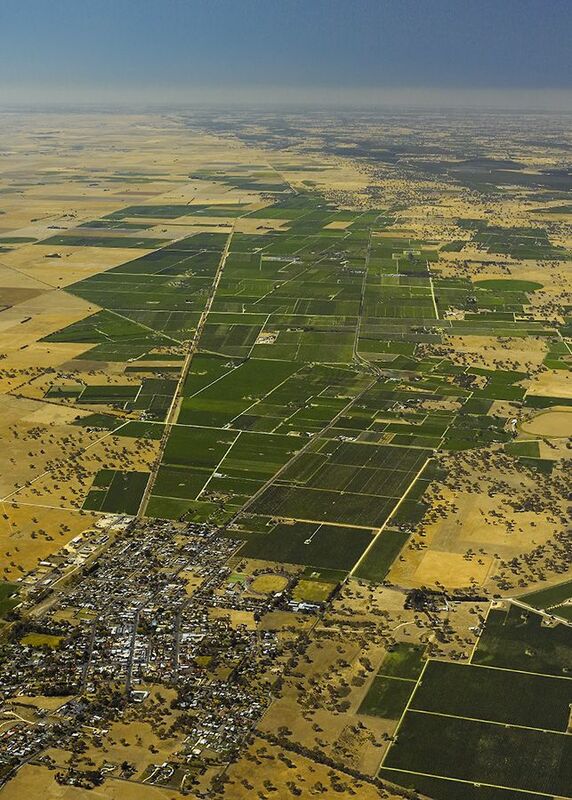 Coonawarra strip from the air : Photo © Milton Wordley. It was great, really good. I had applied for nearly 5 years and I remember thinking when I didn’t get in, ‘what’s wrong with me, what am I doing wrong’. I don’t know what the selection criteria is and thought maybe I wasn’t in a hip, happening area. The wines are amazing, you could never afford to purchase them yourself and it seems to be getting better every year. I was still at Stonehaven then and had started doing the Australian rural leadership program. I was the only winemaker in the program; we had people from Thursday Island to Tasmania to the Kimberleys. All over Australia from health and education to cotton and beef. A really diverse group… some people from rural aristocracy, others working in social welfare in the streets. It opened my mind to a world beyond wine, because once you fall for wine and make it your career it can become all encompassing – particularly when you live in a small rural area where most of your friends are based around wine. One of the many reasons I like this area is that there are quite a few farmers; it gives a bit more depth to your social scene. The River Murray, should water the allocated to an overproduced luxury product or should it be used to grow food ? Photo © Milton Wordley. I started to question the whole decadence and extravagance of wine, yes it’s a luxury product but it’s also a drug. We were drifting into tougher times; competition for water was on the agenda. Should water the allocated to an overproduced luxury product or should it be used to grow food? These issues were messing with my mind and then I went to this week of incredible wines and total extravagance. That aside it was a great privilege and a once in a lifetime experience, but you just need to keep it in context. They were wines I can never normally taste; it’s also very kind of people to share their time, knowledge and wine. But it’s not everything in life; I enjoyed it and was lucky to end up Dux that year which definitely opened a lot of doors. 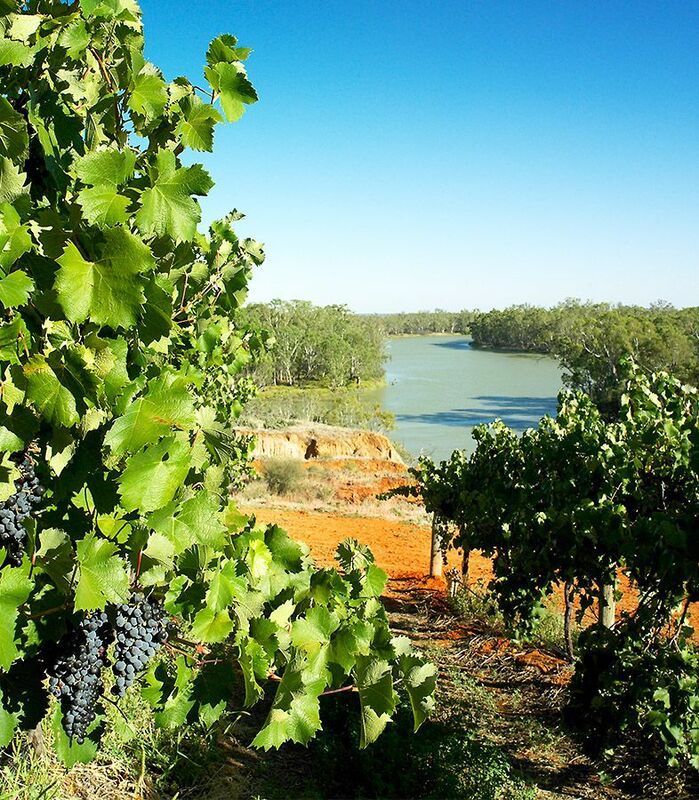 What style of wine is best suited for Coonawarra ? Cabernet at the moment, but if you look back through history you would have said Shiraz or Shiraz blends. If you look in the future you might possibly say Cabernet, Cabernet blends. 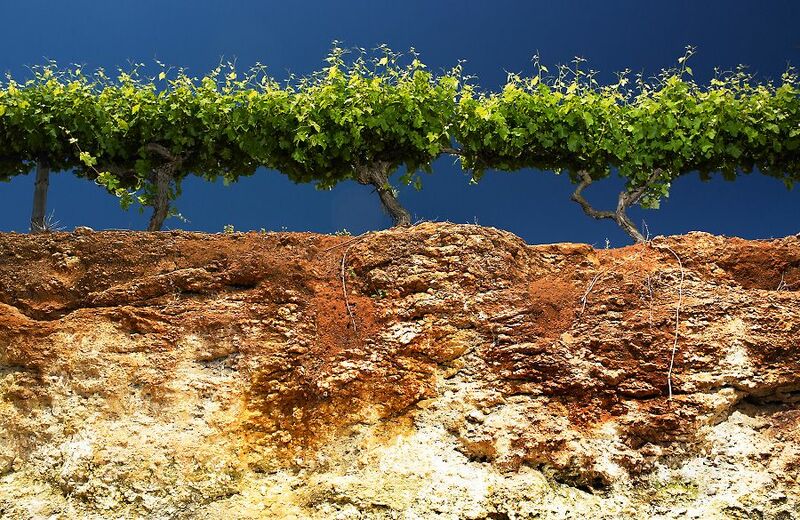 Coonawarra’s Terra Rossa over limestone soils profile : Photo © Milton Wordley. What I love about Coonawarra wines is that you can have a glass of it sitting on a table and you can recognize from ten paces that it is distinctively Coonawarra. Everyone’s banging on about sense of place and here is a wine region that screams it. Ed Carr : House of Arras. They really do need 10 years in the bottle though, that final part of winemaking… bottle maturation. I think great sparkling wine also needs several years in the bottle. Ed Carr always said, “It’s the final stage the maturation under cork.” He loves cork for how it improves sparkling wine. I’m not such a lover of cork but then again I’m not bottling wines with 5 atmosphere’s pressure. Where did you grow up: Why Wine ? I was born in Mount Isa, but only lived there for 10 days. My parents lived in Townsville; they came to collect me not long after a cyclone, so a bit more rain came through, flooding the road. I spent my first few weeks of life in the pub in Hughenden. My father was originally from South Australia, Mum and Dad met there, he was a farmer, she was a nurse. They moved around South Australia, Queensland & New South Wales. I was raised in Adelaide & Newcastle mainly. Sue and her daughter Maggie during vintage. I guess I wouldn’t be a winemaker if we hadn’t moved back here. I went to the South Australian Institute of Technology for a stint studying to become an environmental engineer. When I was studying engineering my favourite subjects were soils, geology and hydrology but I was only sixteen when I started and not as dedicated as I ought to have been, so I took a year off and worked part time in hospitality and retail. With an interest in geology and engineering I had this desire to move to the country, to live in a country community. I thought I could work in the field for ten years, save up some money and buy a pub in the country. Eventually I thought why wait 10 years, what about winemaking. At first I was intimidated with the chatter from other students with families in the wine business and their knowledge of wine. I remember sitting in my first year of sensory science thinking that I liked this wine the best and another the least, but not able to explain why. Then I’d listen to other people talk so eloquently about the wines and think I was out of my depth. My assessment of the best and worst was spot on though, so I persisted and here I am today…I’m perhaps better able to describe why…but I still use practical concise descriptors – especially when judging. You started Bellwether in 2008. I put my hand up for redundancy from Hardy’s in September 2008 when they announced their large sale of wineries and vineyards. 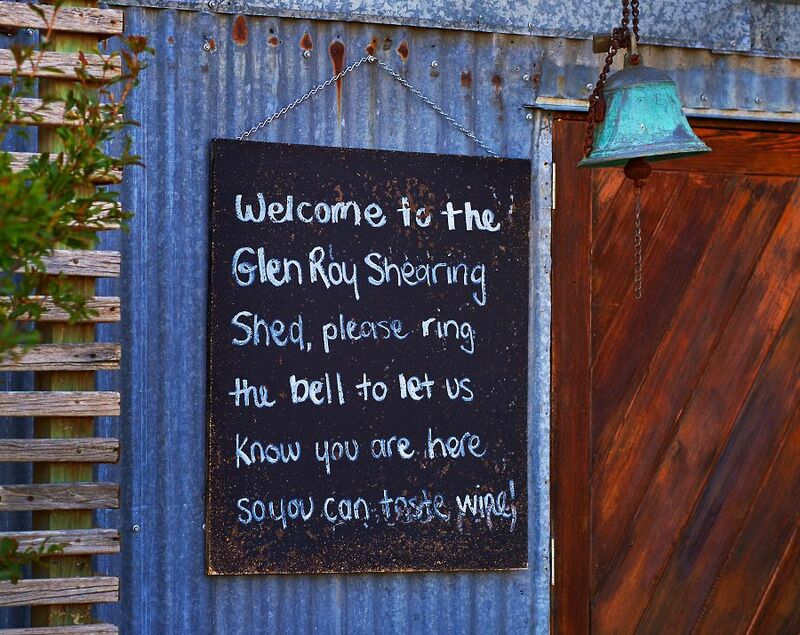 Glen Roy shearing shed home of Bellwether Wines : Photo © Milton Wordley. That gave me a bit of breathing space to work out what I wanted to do. There were great job offers in New Zealand, Margaret River and Yarra Valley paying a lot more than I had been getting getting – and all cool climate which is what I was interested in. But I actually really liked living in Coonawarra and didn’t want to leave – so I started to toy with the idea of doing my own thing. 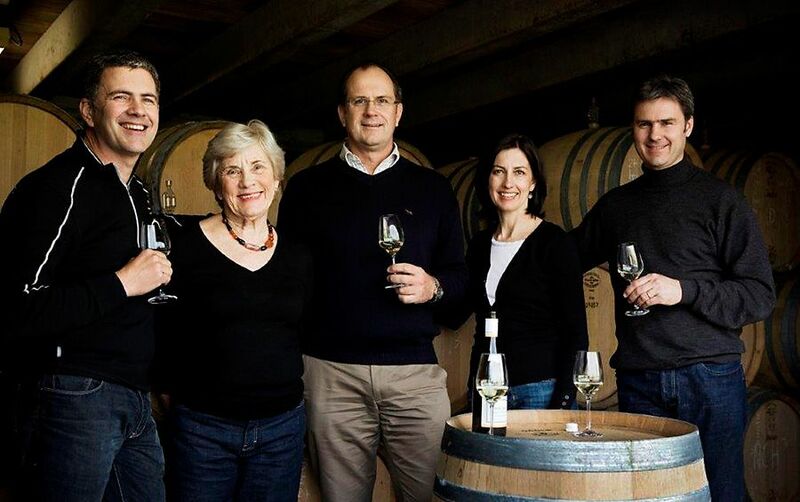 Michael Brajkovich with his family at their Kumeu River winery in 2010 L-R Milan , Melba , Marijana and Paul. As Dux of the Len Evans tutorial I won the trip to France as part of my prize, I also had a trip to India as part of the rural leadership program and an exchange judging gig in New Zealand. I had all this travel planned before I left Hardy’s so decided to do it and observe and listen to people to work out what was really important to me. After the New Zealand Wine awards I went and caught up with Michael Brajkovich of Kumeu River in Auckland. I took along a bottle of Bordeaux to share, he mentioned to me over lunch that when he finished Uni, if he didn’t have the family business to come back to in New Zealand, he would have gone to Coonawarra. So it was over a bottle of Bordeaux in New Zealand that he encouraged me to do it. 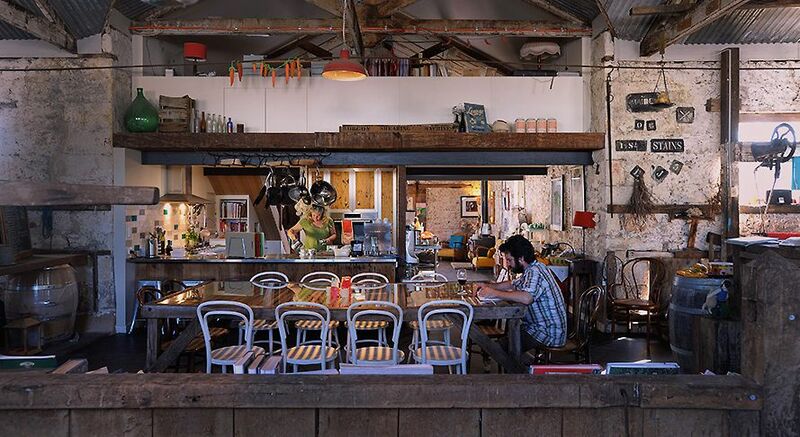 ‘The Bell’ at Bellwether Wines : Photo © Milton Wordley. Sue Hodder also suggested Coonawarra needed a new label. They both made me think, if these people that I really respect think I should give it a go… maybe I should listen to them. 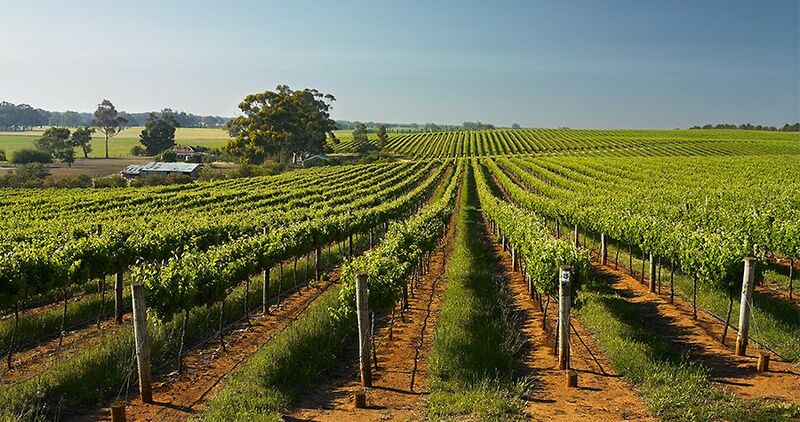 I knew I really wanted to do chardonnay as well as cabernet, and I was also very interested in the alternative varieties because I think it just makes sense for the future of Australian wine. So my initial business plan was to start with chardonnay and cabernet, which is what I had experience and expertise in, and introduce alternative varieties down the track. Amazingly it’s what I have done. What’s the back label to the name ‘Bellwether’ ? Bell is my last name, but I didn’t really want to be Sue Bell wines. 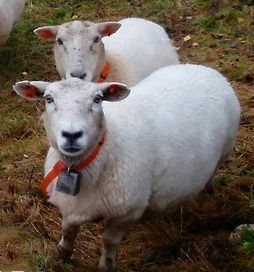 The term ‘Bellwether’ is derived from the word bellwether and refers to the practice of placing a bell around the neck of a castrated ram (a wether) leading his flock of sheep. The movements of the flock could be noted by hearing the bell before the flock was in sight. So the ‘Bellwether’ was the leader of the flock, it’s the trendsetter. The term is often used in politics, science and sociology, you often hear analysis of bellwether shares in the stock market, or bellwether seats in an election so it’s a strong word. It’s got my name and ties in with my father being a shearer and the Glen Roy shearing shed. Pam Dunsford used to say good brands have three syllables. That stuck with me when I was trying to come up with a name, three syllables, bell / weth /er. 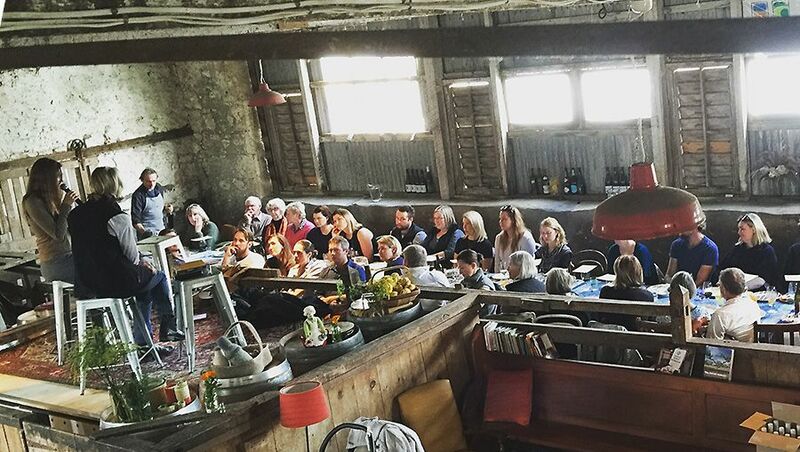 What’s the background to having winery and tasting room in an old shearing shed ? The day that I resigned from Stonehaven I drove past a ‘sign’, literally, an ‘auction sign’ that had gone up in front of a beautiful old shearing shed that I had loved for years that day. The winery : Photo © Benedetta Rusconi. The viticulturist I worked with and now friend, Kerry DeGaris’s father was a stock agent. Prior to my travels to France in 2008, he had told me that there was a guy in France who might be interested in helping me. Sure enough this Australian guy rings me in France. We chatted about the property, he asked me a lot of really good questions. In the end he said that maybe he could get a group of investors together and buy Stonehaven, suggesting I might come back and work for them. I said that I was very happy to help as I loved the staff, but that era was over for me. He then asked me what I planned to do. I told him about this old shearing shed, he said that his Dad was a shearer…. I said so was mine, and that’s how we went to business. Andrew and I bought the ‘Glen Roy’ shearing shed without actually meeting. It was Christmas Eve 2008 when our offer was accepted. Here we are many years later and his Dad’s currently here out the back helping do stuff around the place. 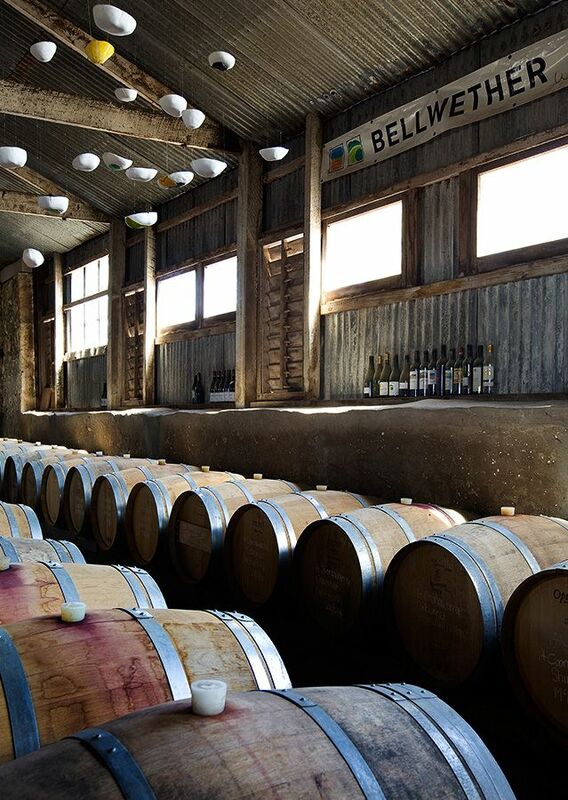 The Bellwether winery / tasting room : Photo © Milton Wordley. Where is you main market ? Right now it’s the Eastern seaboard, with Queensland growing fastest, that’s primarily because we have a very motivated distributor there. The food and wine scene in Brisbane has really exploded. I’m from Queensland originally and I find it a fantastic market. I think there are a lot of young people who have gone away and got to experience food and wine elsewhere….they come back and think why can’t we do this in Brisbane, and they are. Intimate events for 70 maximum in the Bellwether winery. Tourism, Special Events, Glamping ? I’ve always thought that I wanted to turn this into more than just a winery… food is obvious and small special events have kind of grown out of my other interests. 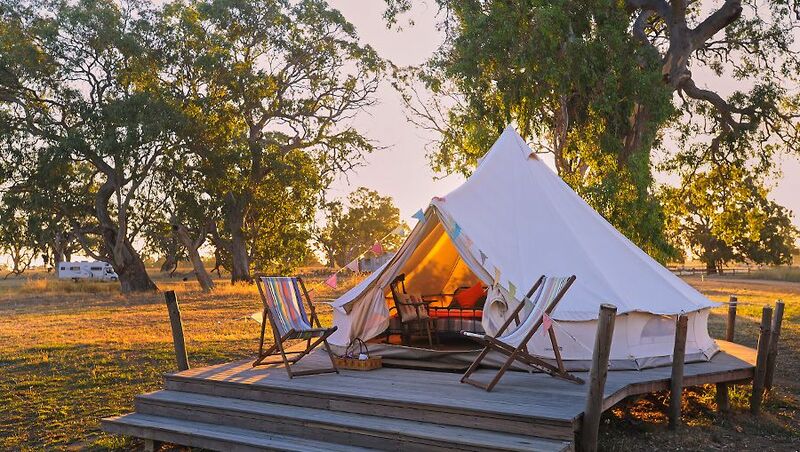 Glamping at the Bellwether camping ground : Photo © Milton Wordley. I think if people can stay and be fully immersed, their attachment to us might be stronger. 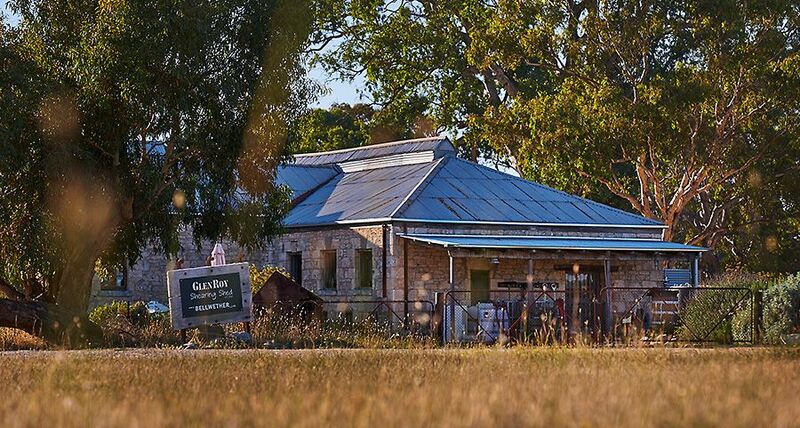 It’s that whole thing of slowing down and that’s what’s beautiful about getting to Coonawarra. It’s not a high-volume tourist region. Slowing down around a campfire amongst the Gum trees. I had land out the back, I’m not a farmer so planned to put a few sheep in to keep the grass down. My brother noticed how many caravans drive past here and suggested we put in a campsite amongst the magnificent gum trees. Then I found the ‘Bell’ tents, like the ones the British and Australian soldiers used in the war. Henry Hopkins Sibley invented them; they are modeled on the Teepee. We have two more tents to go in then we can sleep 12 people. We do other events too, ‘Sips in the Sticks’ is one of my favourites, 70 people maximum, that’s all we can fit. 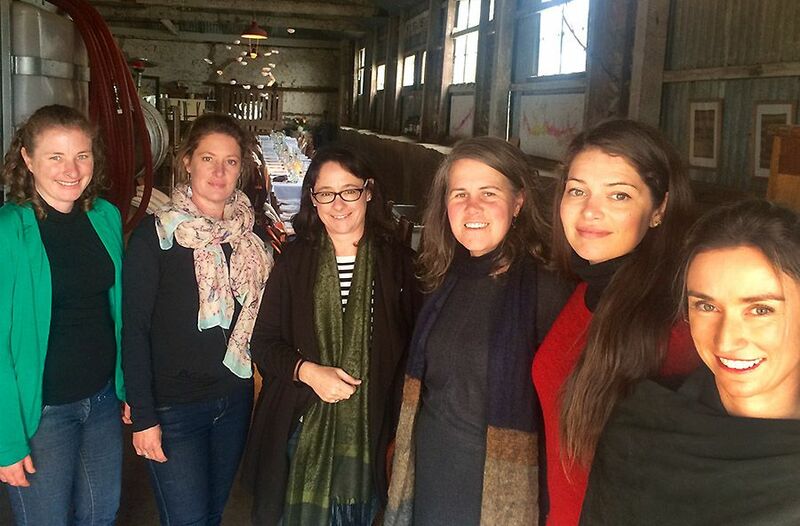 Sips in the Sticks 2015 : L-R Jo Marsh, Kate Goodman, Louisa Rose, Sue Bell, Tessa Brown, Anna Hooper. The Penola/Coonawarra Arts festival is another, last year we had Archie Roach with Kelly Menhennett, a really memorable evening. 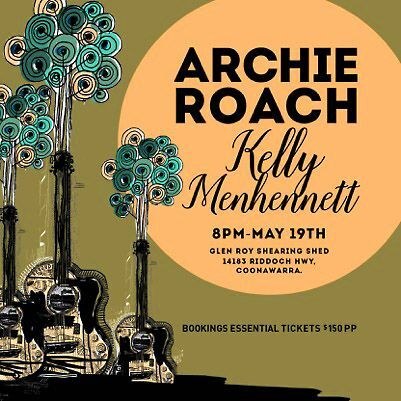 Archie Roach and Kelly Menhennett poster. It’s that intimate experience with food and wine that’s important to me. We sold out the third ‘Sips in the Sticks’ in two days, someone told me you should get a marquee and sell 300 tickets, but I said but then it wouldn’t be ‘Sips in the Sticks’. I prefer that it retains that community feel. We have had the local CWA to cater for some events. In my past life, if I’d suggested our biggest event would be shared with six other winemakers and us only showcasing one wine I would have been dismissed as mad! Perhaps it is, but it’s a lot of fun and that is infectious. It’s also healthy how this gathering has formed friendships that nurture and support each other personally & professionally. Simon Bowen of Pipers of Penola, Max Allen and Stefano de Pieri, judging Sips in the Sticks Quattro – Italian style. Nick Ryan and Max Allen have MC’d for us and have to judge the winemakers’ desserts. They both thought because they knew how to judge wine, how hard could it be?…. they soon realized the CWA stalwarts can teach us a thing or two. 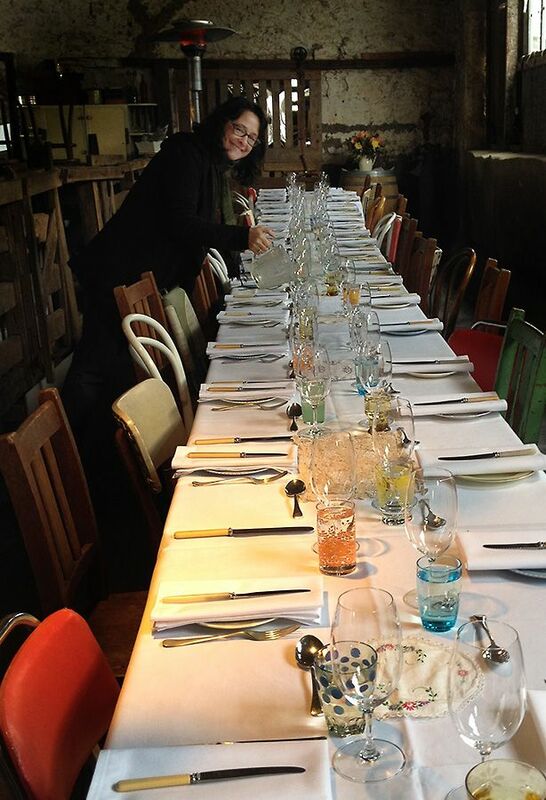 Louisa Rose sets the table for Sips in the Sticks, 2015. The sight of Kate Spencer teaching Max Allen and Frank Camorra how to judge dessert or the year we had Penny Wong was so entertaining for everyone else… a little terrifying for us though. Those CWA ladies can be brutal in their assessment. It’s scary to cook for people who really know what they’re doing, and it’s really good to see these very talented winemakers way out of their comfort zone. It’s become quite competitive and also makes for more entertaining speeches than how we barrel fermented etc. We talk about why we cooked our dessert; there is usually a tie in culturally. 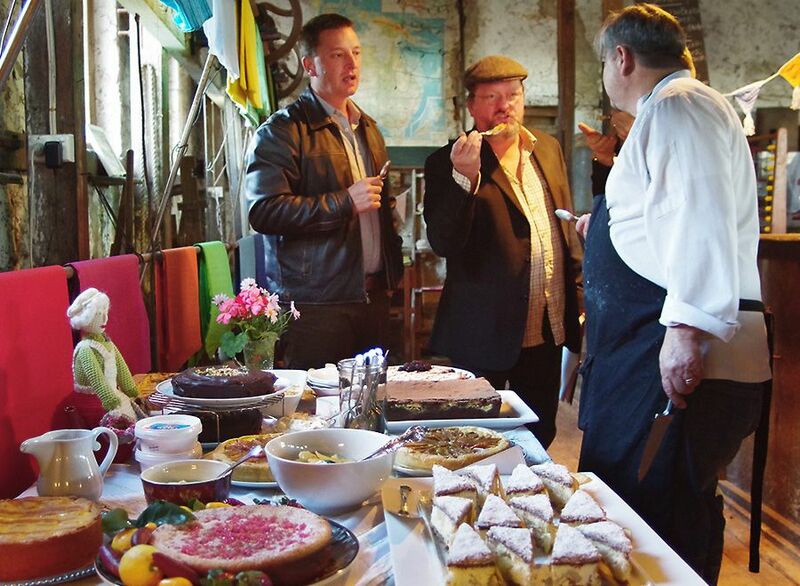 The first year was very much about country, the second year about our migrant past with local Afghan women cooking, and then we had to do a dessert to impress Frank Camorra. No stress ! Anna Hooper searched for Frank’s mother’s recipes and made one of those… nice try but as if it was ever going to be as good as his mum’s. Then last year Stefano cooked lunch and judged, so we all had to cook Italian. I invited the Zemas and DiGiorgios along. Frank DiGiorgio won the dessert challenge and the best speech! Frank Digiorgio wins the Italian event. This years it’s about the viticulturists so a welcome break from listening to winemakers, time to hear from the growers. 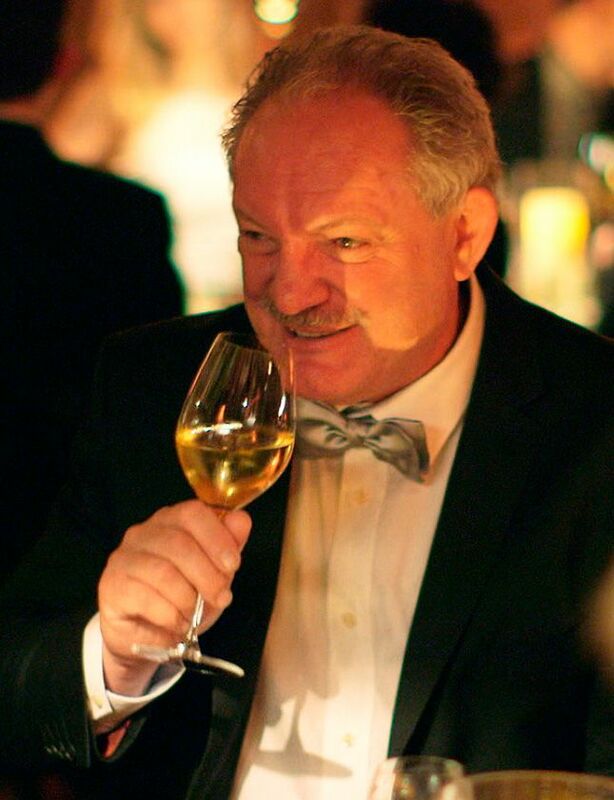 Peter Dawson the head winemaker at Hardy’s was a very tough but good boss, if you stated your case to him, and showed that you had thought about it, he’d back you. We had brilliant technical conferences – viticulture and winemaking all together, sharing incredible wines, food and our trials and research. 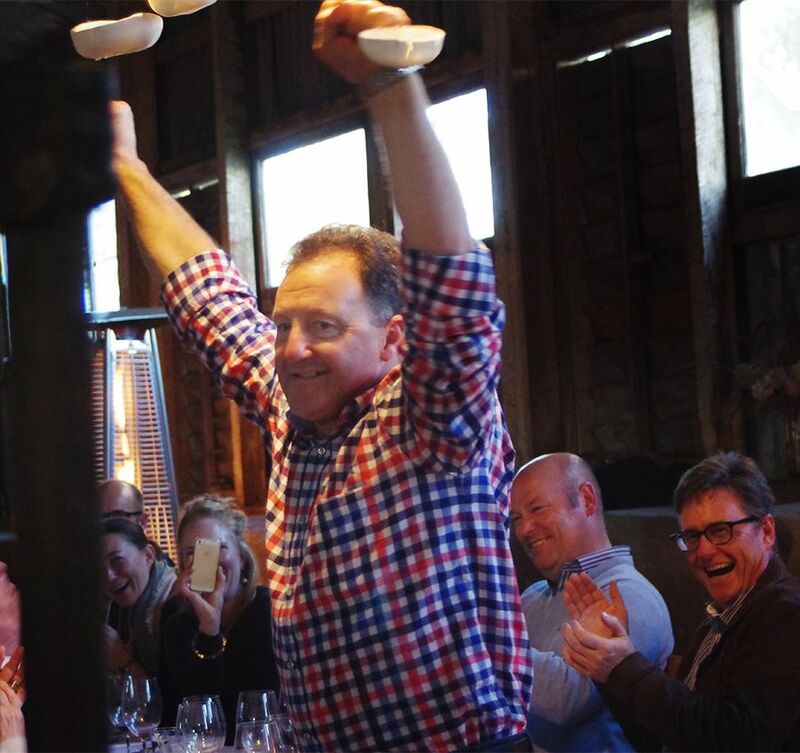 My first conference was in Central Otago, I remember thinking, ‘well this is great, I’m so glad I joined this company'; another one was on the Murray with Stefano cooking for us all week. Drew Noon has been a valuable friend, from when I was a student doing vintages at Cassegrain Wines in Port Macquarie..
Tom Newton and I had a great working relationship when I was at Stonehaven – we challenged each other and both shared a love of chardonnay, we got to play with such great fruit from Tassie, the Yarra and Tumbarumba. Someone I mentioned before who wouldn’t know how much influence they had had on me is Michael Brajkovich of Kumeu River wines in New Zealand. He is so bright but a really humble man. Because of my love of chardonnay I knew his wines and always enjoy them. Kumeu River was making really good chardonnay well before anyone else in New Zealand was doing good chardonnay. He was a lone star. He has always been strong advocate of natural yeast, which is a strong philosophy of mine. Bruce Redman has been a great mentor locally, personally and in business – Bruce is a straight shooter and will tell me exactly what he thinks, I really value his support. Obviously my friends/peers too, Fran Austin, Kerri Thompson and Kerry DeGaris are always there when I need a hand along with so many others. 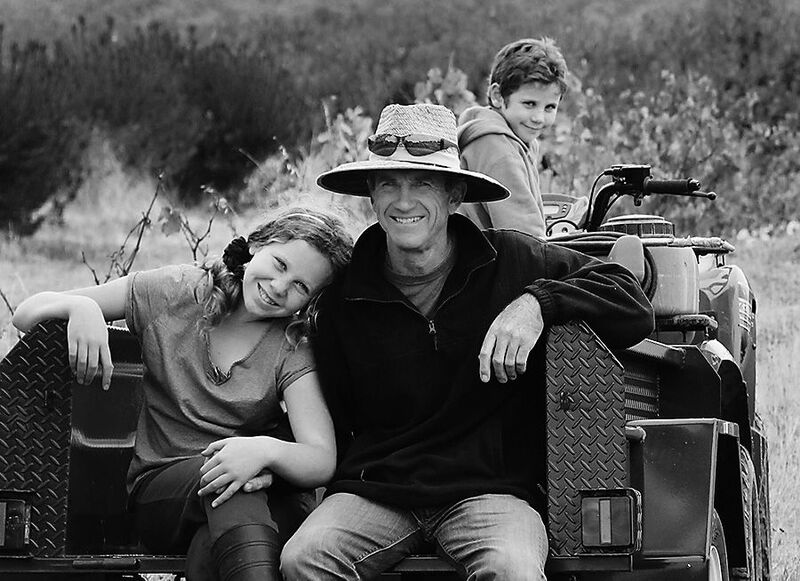 My growers are my backbone all of them but Mike Wetherall, my Coonawarra cabernet grape grower has helped me get Bellwether through the first eight years and I will always respect that show of faith. Wine shows and judging ? The part I enjoy about judging is meeting other people and the discussion about wine quality during the shared meals. My notes are pretty concise, I don’t get into flowery descriptions, for me it’s all about balance, line and length. I don’t like wanky wine terms. I don’t think we should score wine at all. The best part is when all the golds come back, you revisit them blind and talk about the wine not numbers. That’s the bit I love, I think it’s the best way to judge. 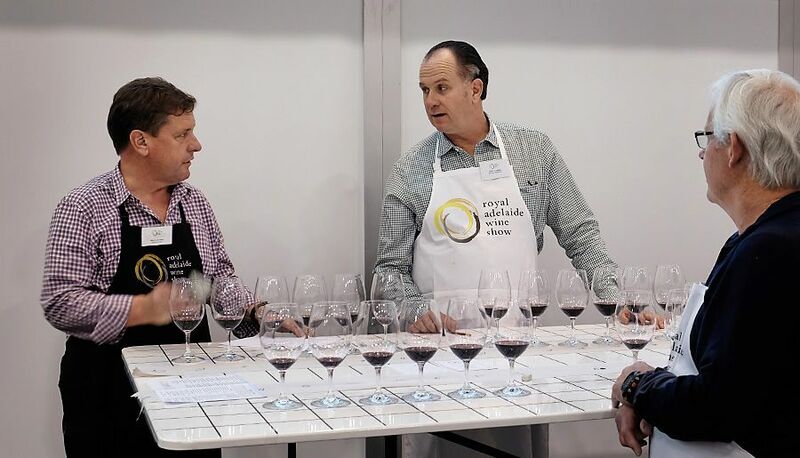 Adelaide Wine show Committee Chairman Andrew Hardy consults with Chairman of the judges Michael Brajkovich : Photo © Milton Wordley. I judge for palate calibration and fellowship. I think it’s important, as you get older to step aside and let others come in because it can be a bit of a clubby scene. It’s funny when you realise you are mentoring after you have been used to looking up to and learning from others. In reality you are still learning though. Diversity of people in judging is really important, age, culture, gender and geography. When I think about being 20 years out of Uni as opposed to someone fresh out of Uni. My winemaking has changed completely in those 20 years, and so have people’s drinking styles and the science behind it. So those people that are fresh out have useful knowledge, shared with experience that can enhance both our careers. 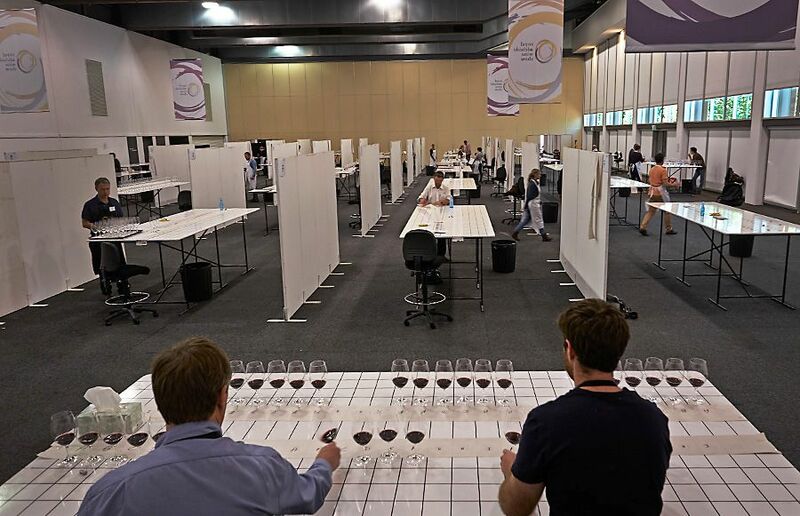 I am very keen to see more viticultural judges; we have embraced sommeliers and trade so we need the other end of the chain to complete the story when it comes to discussion about how we can keep improving our wines in the future. I just love living here, it’s a sincere community and the wines are great, it’s actually hard to get good jobs here because no one leaves ! 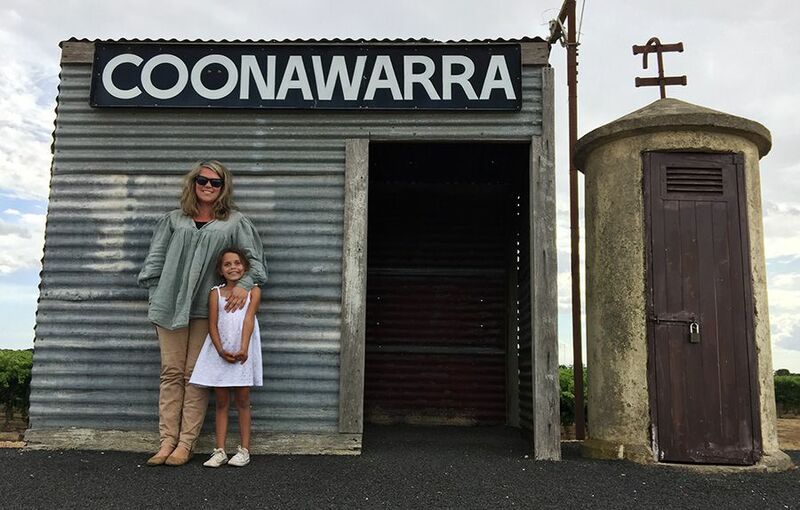 Sue and daughter Maggie at the Coonawarra Rail siding. I was born in Mount Isa, I’m good friends with Fran Austin from Delamere, she is from Kalgoorlie, Sue Hodder is from Alice Springs. How the hell did we all end up working as cool climate winemakers? I’d love the three of us to do a road trip across Australia, holding wine dinners from Kalgoorlie to Mount Isa via Alice Springs, with a film crew. I think it would be bloody good fun. People need to reconnect with the outback of Australia – it is our cultural heart.